January is off to a fun & busy start! I’m taking all our new classes this month, so I’ll be busy doing my craft homework and learning new things – Intro to Cross Stitch, Leather Moccasins & Sewn Mittens!! The Quilt Sampler 2 class started on Thursday, so I thought I’d start by posting my colour palette and fabric choices. I’ve decided to do shades of grey (no surprise), aqua and mustard. My inspiration photos are this and this. I really love the soft, silvery look of these photos and also the proportion of each colour. I’m going to try to keep referring to these images to see if I can achieve the same feeling with my quilt blocks. 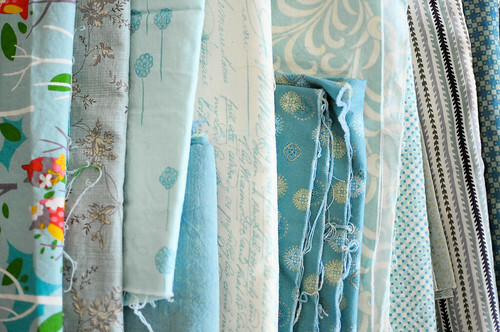 I’m still using Pinterest like crazy, especially to keep a board with colour palette ideas for future projects. It is so perfect for organizing your inspirations. If you’re not using Pinterest yet and want an invite, just let me know. i am digging on pinterest as well. i could spend hours looking around and getting inspired! looking forward to seeing the quilt take shape. Wow, you’re off to a crafty start to 2011! Please send a pinterest invite my way. Seems like a good way to catalogue all the pieces of inspiration (my favourites list is out of control under my current system). I love your blog. I like it when people show things they are making doing and inspire others in turn. Please send a pinterest invite along to me. And keep up with the great work! 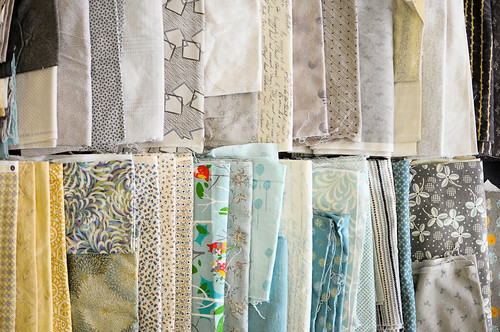 I always find something to further inspire my craftiness on your blog… and now a way to organize my inspirations? Pininterest sounds obsession -inducing… please send an invite my way? Thank you. 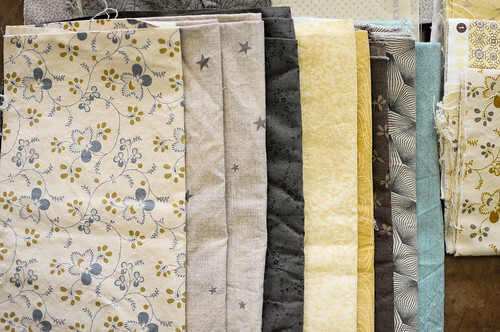 I love your blog:) your crafty list is such a great idea! Need to work on one of my own!